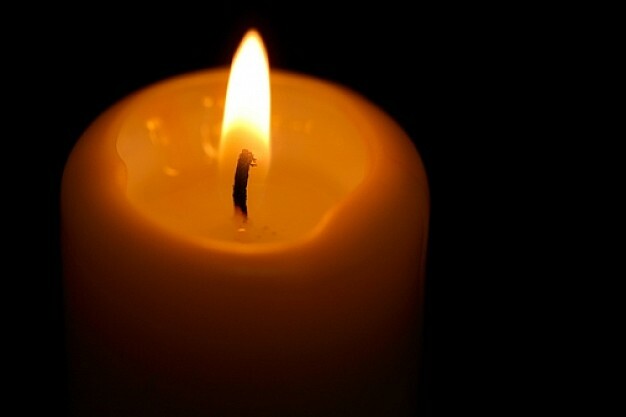 Just about every household has a scented candle burning these days. But did you ever think about what’s in that candle? I think that the most motivating factor when someone selects a gourmet candle is scent, right? Well imagine if your favorite scent is lavender or coffee…and you have a candle burning that contains the actual essential oils from the lavender plant or coffee bean? That is exactly what you get when you burn a Lux Aromatica candle, hand-made by Kerensa Bertolino in her home-based candle kitchen in Newport, Rhode Island. Lux Aromatica products (soy candles, soaps, perfumes, salves, bath salts and more) are made with natural waxes, botanical carrier oils and butters, essential oils for fragrance and vegetable-based preservatives for the skincare products. They are free of synthetic fragrance oils, added colors or other artificial ingredients. All ingredients are purchased from suppliers here in the United States. Not only does Kerensa manufacture the candles by hand, she designs her labels and makes every effort to keep her packaging minimal, reusable, recyclable, or compostable. Her label design is inspired by nature, art, smell and texture. I design my fragrances from essential oils, blending them into sophisticated, interesting perfumes that garner a broad appeal. I’m often inspired by places I’ve visited. If a place smells amazing, I want to replicated it and put it in a bottle. Creating products from natural ingredients is a slow, meditative process. When making candles, soaps and salves, the oils are gently stirred into the molten wax or soap, then hand-poured in small batches for each fragrance. Tempering, blending, and pouring all must happen at particular temperatures, for certain amounts of time, to make each individual candle come out just right. My choice of materials is limited to what is available in nature. Back when I began, I did not realize how much synthetic material perfumes contain. So many fabulous and famous perfumes are nothing like their originals because the manufacturers have converted to cheaper synthetic ingredients to replace the essential oils in the recipes. Kerensa’s mission is to “pour a little love into every package, shaping it into an experience that feeds the senses, gives back to the earth, and pleases the eye.” To read more about Kerensa and her Lux Aromatica business, visit her website. 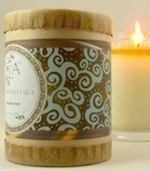 You can purchase her candles online or at Festival Fete’s Holiday Market on December 1st and 2nd. I know that I am going to be first in line to pick up a 50 hour fresh coffee and orange “Havana” candle! ← Art Happenings in RI – Open Studios & Wine Tasting!